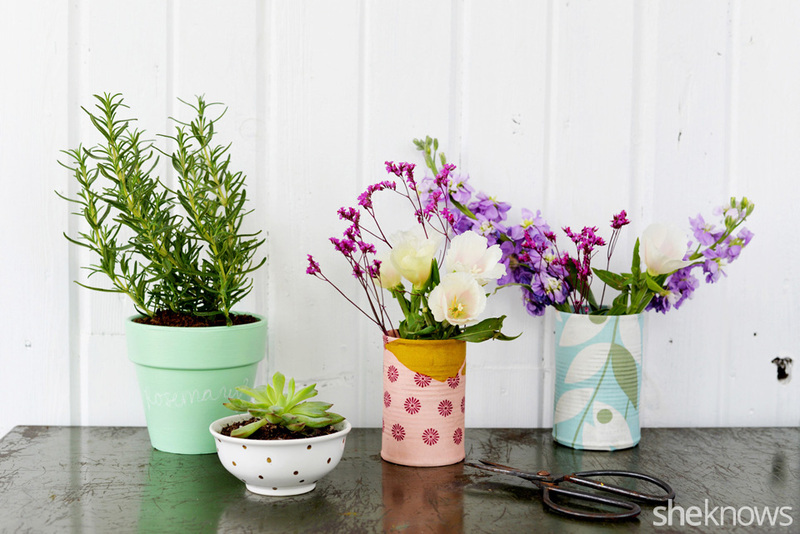 Get creative with your plants this year and show off that green thumb in style. 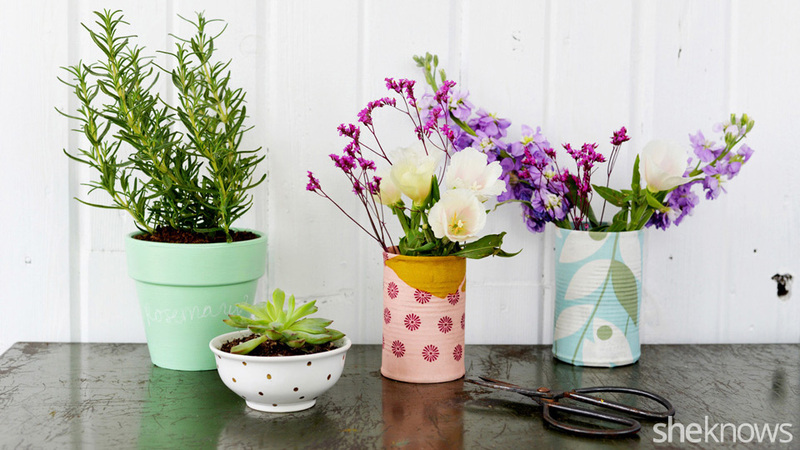 We show you three ways to upgrade items you likely already have on hand to create fun and crafty vessels for those beautiful blooms and gorgeous greens! 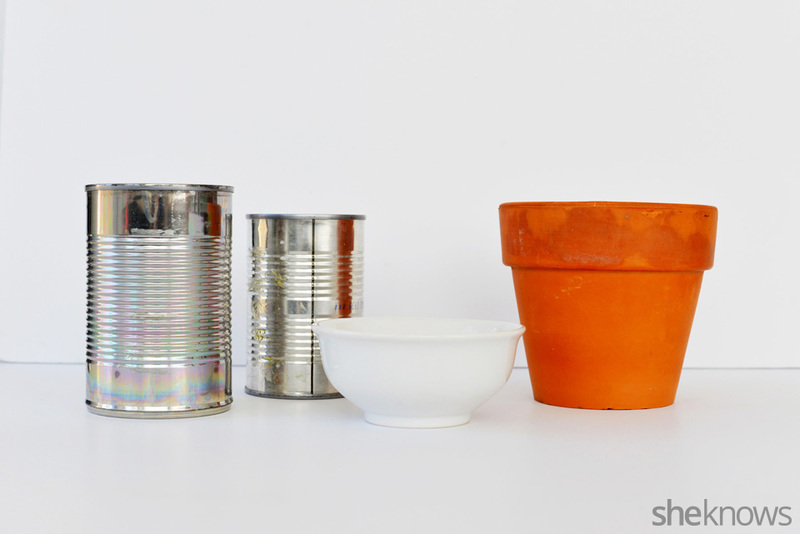 Turn these simple household items into pretty planters and vases using a few creative craft supplies. Read on for the three solutions for upgrading these vessels and the supplies needed for each. 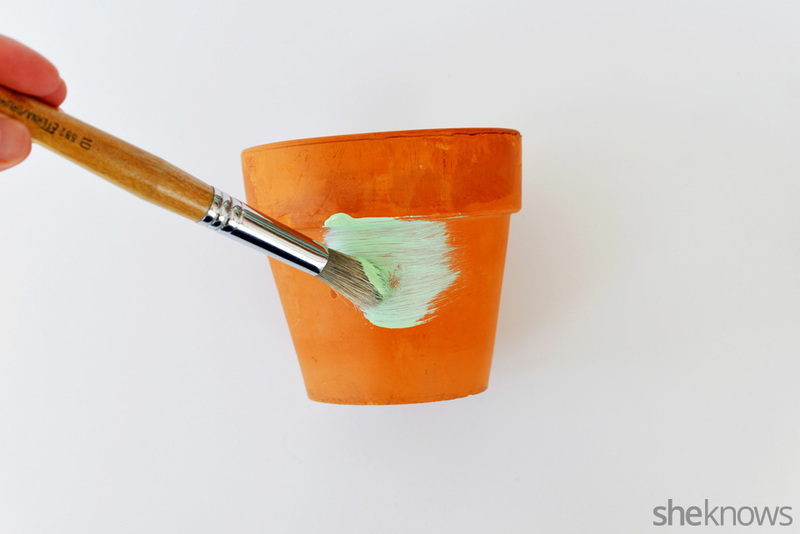 To upgrade this basic terra cotta pot, simply apply a few coats of chalkboard paint to the pot with a paint brush. Allow ample time for drying in between coats. 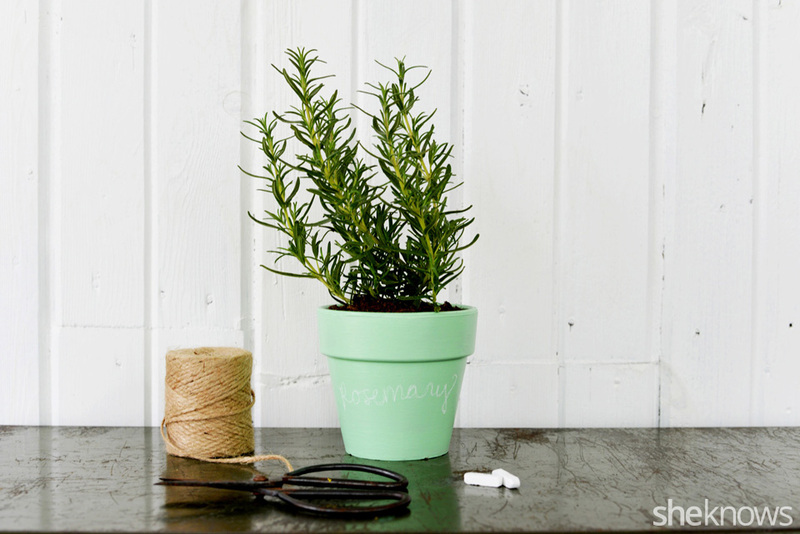 Once finished, you can mark the name of the herb or flower that you plant on the outside of the pot. 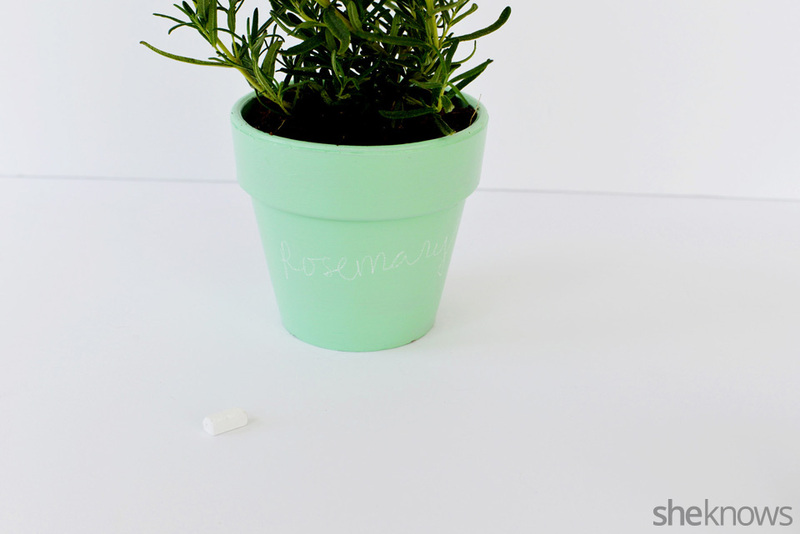 This project is great for herbs because you can label the outside of the planter with the name of each herb! 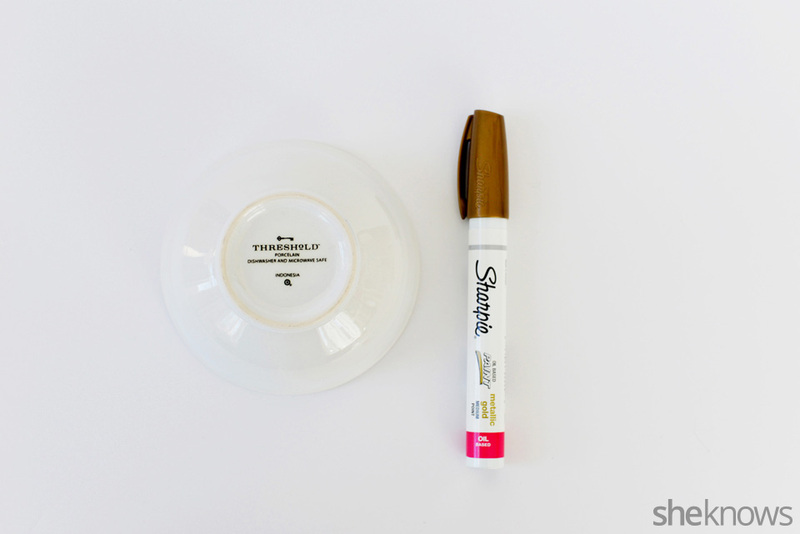 Add a simple dot pattern to a white pot or vase using bake-on Sharpie marker. 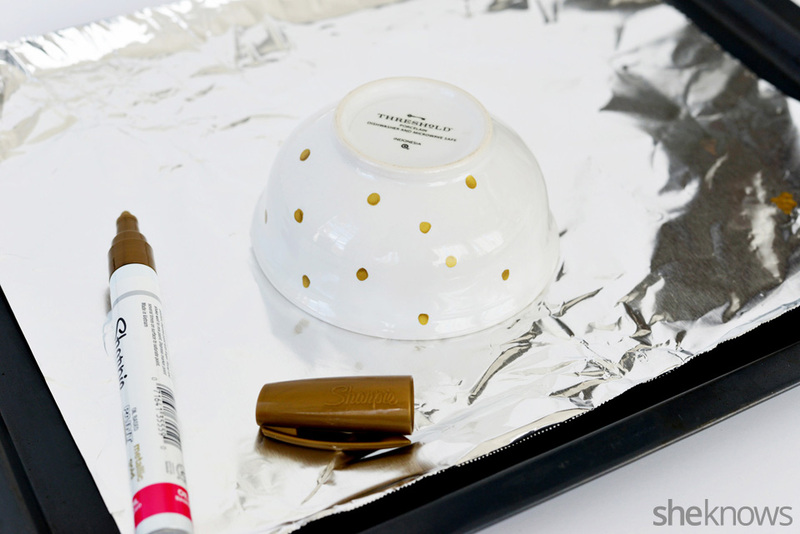 Just draw on your pattern, place on a baking sheet and bake at 200 degrees F for approximately five minutes to dry on the marker. 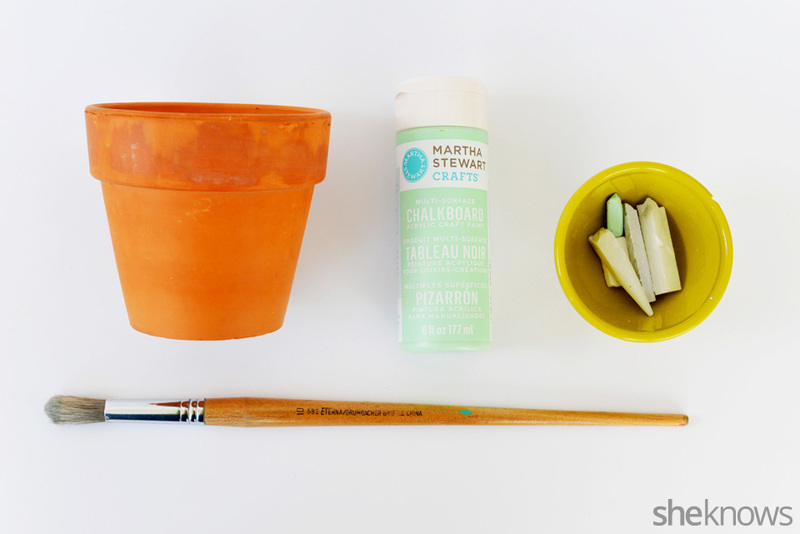 Let cool and get potting. 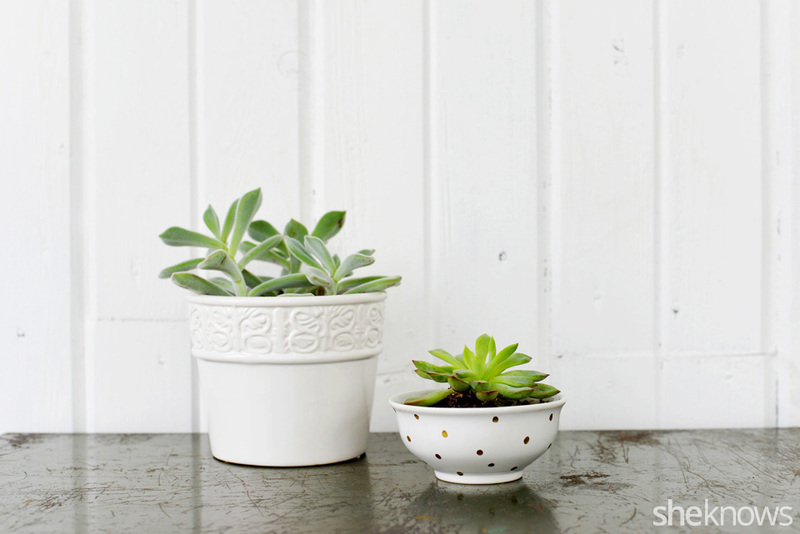 This one is perfect for succulents or other small household plants, especially those that need little water. 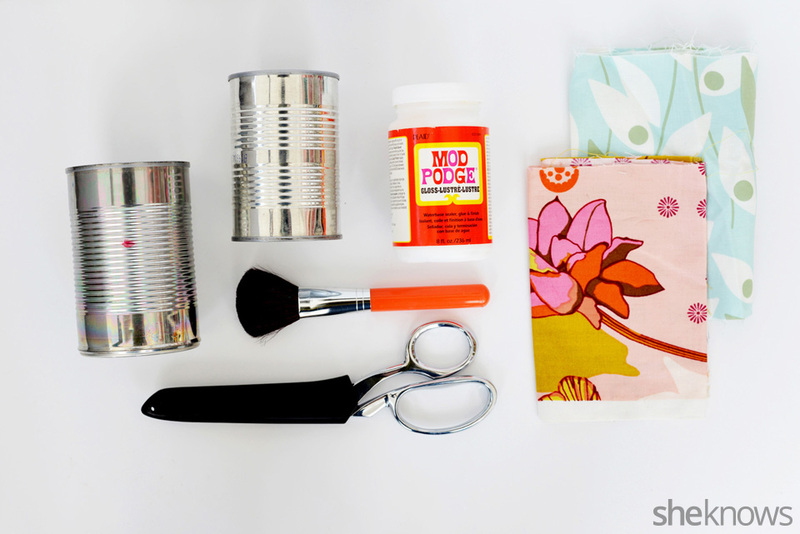 Upcycle tin soup cans into patterned vases by adding a little fabric covered in Mod Podge. 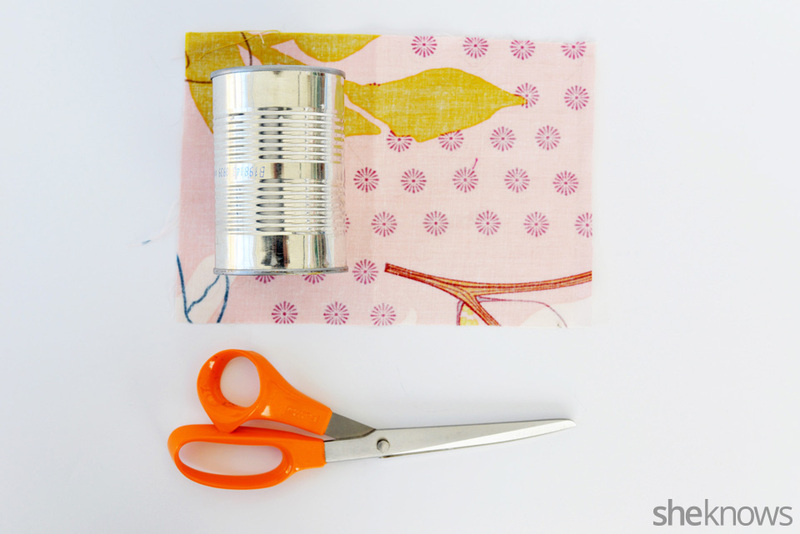 Start by cutting a piece of fabric larger than the size of your tin can. 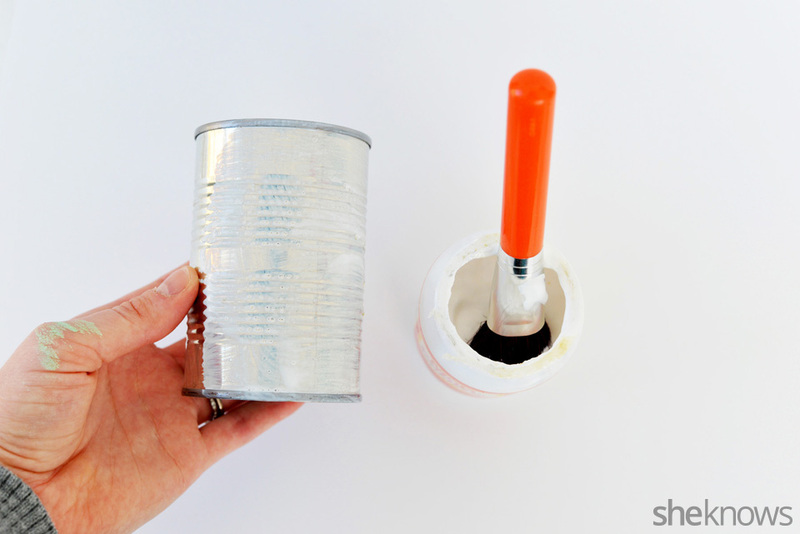 Next Mod Podge the outside of your tin can, the bottom and just a small portion of the inside. 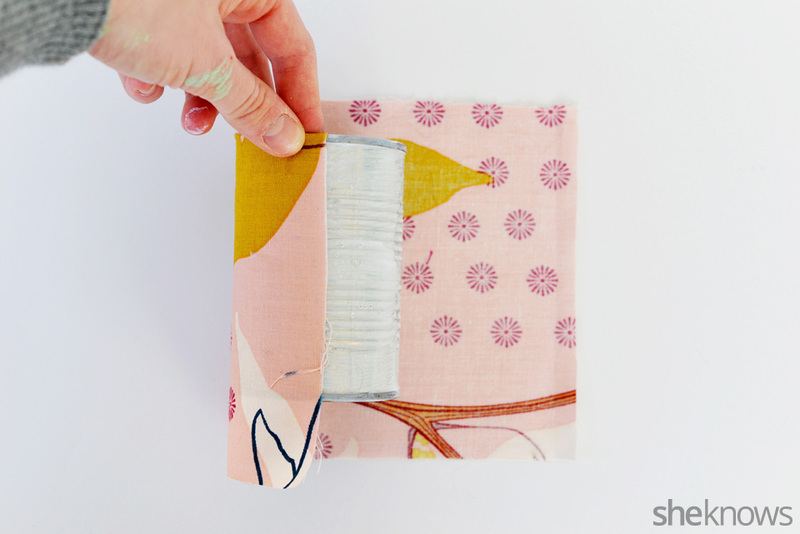 Carefully wrap the wet can with your fabric piece, being sure to avoid air bubbles beneath the fabric. 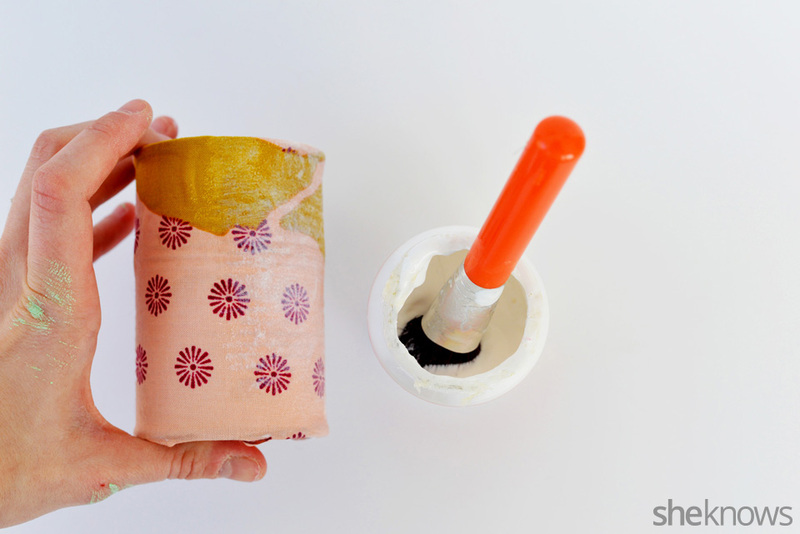 Lastly, cover the outside of the fabric with a tiny coat of Mod Podge to seal the fabric and make it waterproof. Let dry for the time indicated on the back of the bottle of Mod Podge. 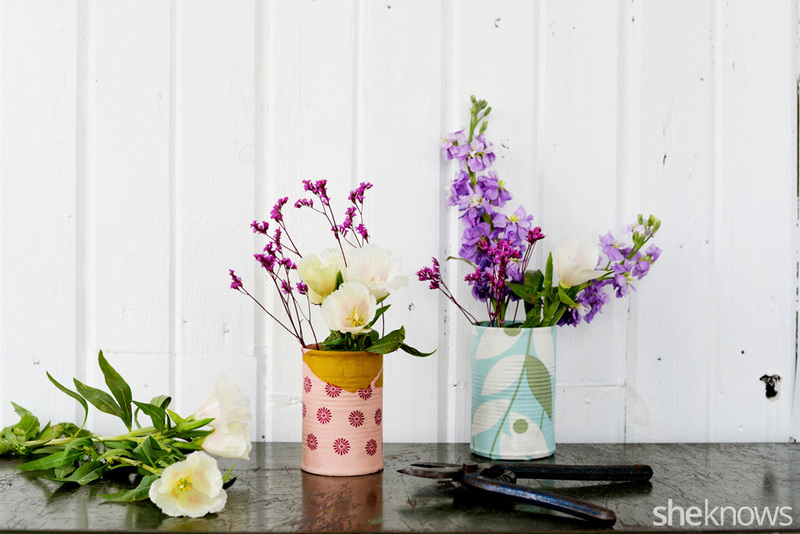 Fill with water and use as vases to show off those pretty garden florals!